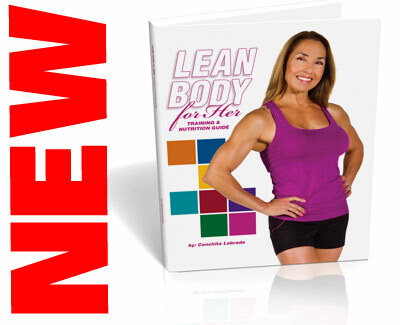 The Lean Body for Her Training & Nutrition Guide is more than just an “instruction manual” for losing weight. It is an inspirational story of how you can feel confident in your own skin. No matter if this is your first time trying to shape up, or if you’ve been on this journey for years. • Great tasting and healthy recipes that will keep you on track and satisfied. • Motivational stories and examples to show you that it can be done. • Exercises that tone, shape, and build a strong feminine body. • Easy-to-use tables that will help you chart your success.